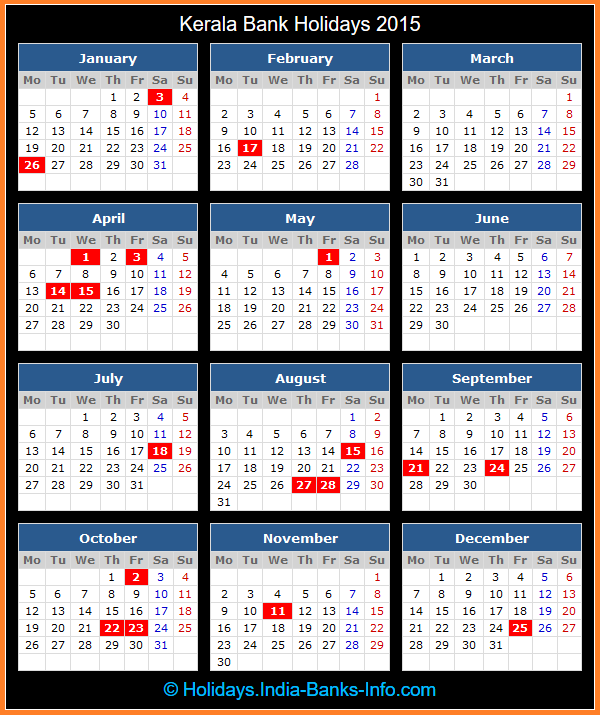 Check bank holidays in Kerala state for the calendar year 2015. The government of Kerala declares (G.O. 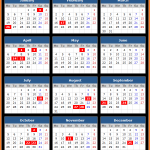 (P) No.305/2014/GAD, dated 31st October 2014) the following days as the 2015 bank holidays under the N.I. act in the state of Kerala. Easter (5th April, 2015) and Sree Narayana Guru Jayanthi (30th August, 2015) falls on Sunday, so these holidays not added in above list.